The Maruti Suzuki Autocross event is test of skill, speed and endurance. The 13th edition held at Budhh International Circuit was a contest where performance was more important than victory. Experts left everybody awestruck, and novices showed unparalleled promise. The success of Maruti Suzuki Autocross Delhi 2014 further proves the significance of motorsport culture in India. The Delhi-NCR edition of Maruti Suzuki Autocross was a hit and saw an overwhelming response of over 200 participants fighting it out during the three day event across various categories. In this driving skill contest, participants got a chance to test and showcase their motoring skills and the car’s handling characteristics in a secured environment that includes controlled turns and twists. The task was to finish the lap of 2.2 kms with a few far stretches, hair pin bends and sharp turns in the shortest possible time. Sportsmanship and the determination to win were evident in the finale that saw over 80 drivers compete in final round for top position. Interestingly, like its other motorsport initiatives, Autocross is also open to all manufacturers and makes and gives opportunity to all motorsport enthusiasts. 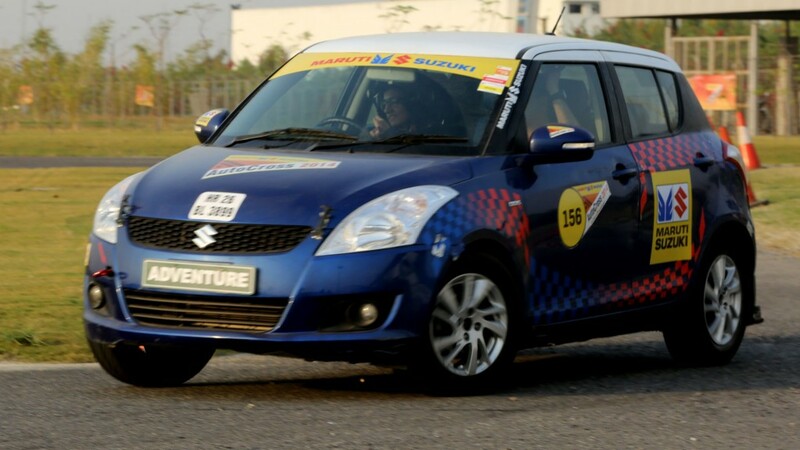 All winners were driving Maruti Suzuki cars Phil Matthai (Zen), Bani Yadav (Swift), Arjun Rao (Swift) and emerged unbeatable in this thrilling motorsports event. Over the years Maruti Suzuki Autocross has become the place where aspiring motorsport enthusiasts put their driving skills to the test. Many amateur rally drivers see it as the base of their evolution into professionals. It has become the stepping stone from where they begin their journey to popular rallies like Maruti Suzuki Raid de Himalaya, Maruti Suzuki Desert Storm and Maruti Suzuki Dakshin Dare.